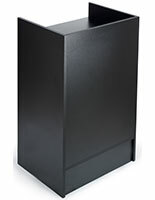 This silver cash counter is the perfect cash wrap for completing transactions. 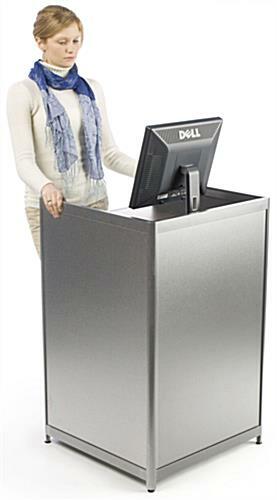 This checkout stand, also known as a cash wrap, can work as a stand-alone unit, or within a retail showcase configuration. 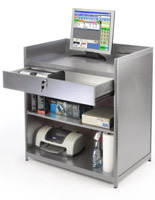 While glass-fronted display cabinets are designed to showcase merchandise to customers, this silver laminate cash counter is designed more for store associate use. 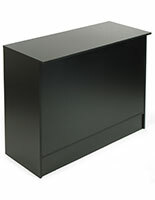 The retail store register stand is generally used as a "checkout" counter. 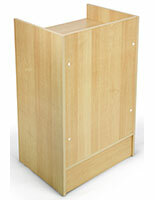 This cash wrap, cash counter features a recessed top shelf to hold a cash register or touch-screen monitor. 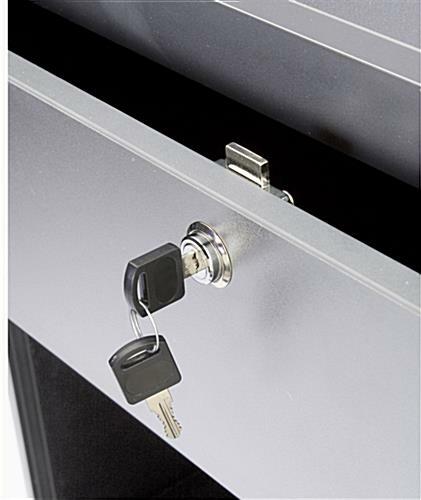 A locking, pull-out drawer provides secure storage for a cash drawer, important documents and more. 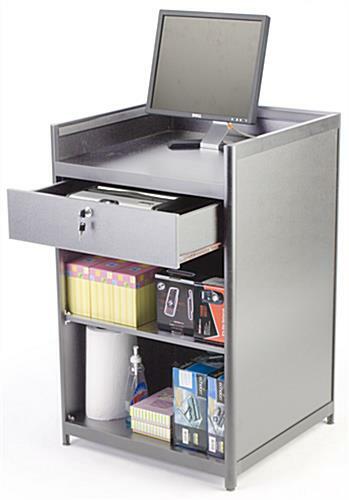 Below the cash drawer there are two levels of storage space. 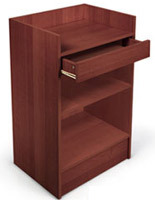 The shelf separating these levels is adjustable to accommodate the needs of the retail associates. 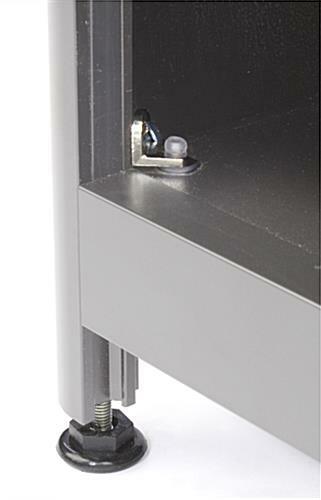 Floor levelers are included on this cash counter to ensure stability on uneven surfaces. 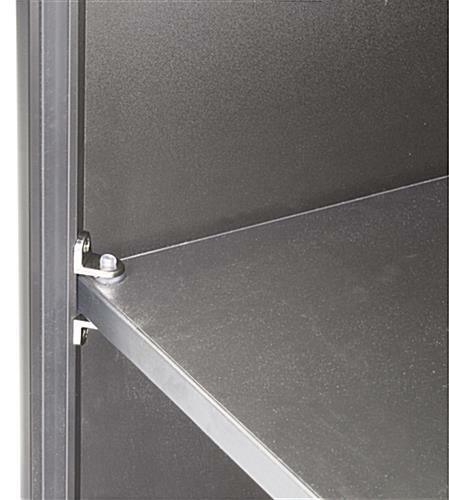 The cash wrap stand even features three vertically-aligned cord holes to feed wires or cords through (from the top level through to the underside of the cabinet). This ensures your cash counter always looks neat. 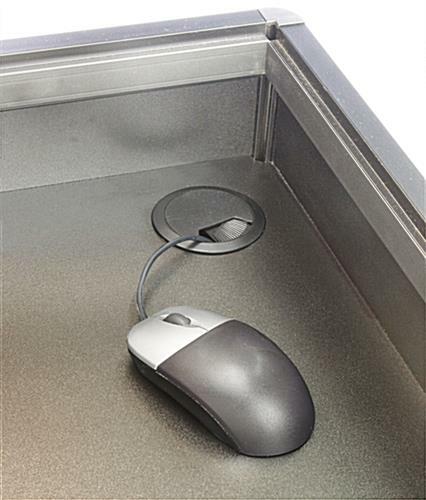 Stop placing your cash register or drawer on your nice glass counters. 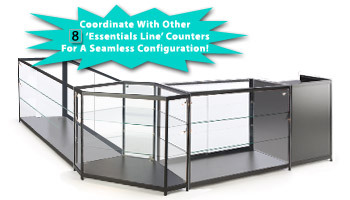 This cash counter is the perfect solution! 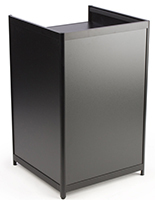 Crafted from powder-coated aluminum and silver laminate. Ships fully assembled.